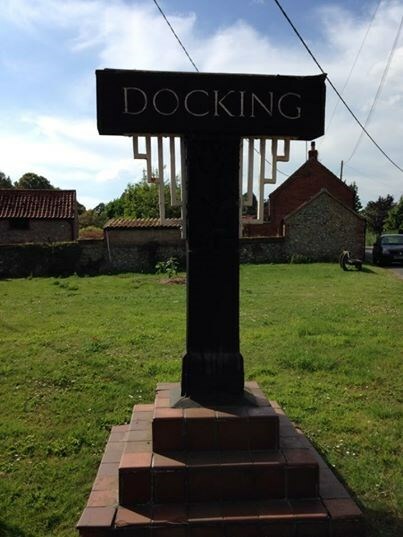 The village name sign was made to commemorate the Coronation of King George VI in 1936. 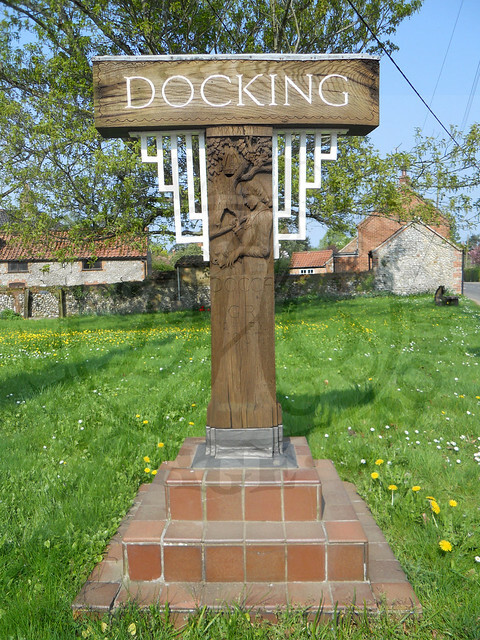 Made of oak, the carving shows Docca, reputed Anglo-Saxon founder of the village, and his son. The bishop’s mitre in the oak tree represents Aelfric, the Anglo-Saxon Bishop of Elmham (d. 1038), who owned land here. The sign was erected on the 12th May 1937 with the official unveiling ceremony taking place on 30th October of the same year.